kitesurfing, kiteboarding, corpus christi, port aransas, sup rentals. Port A H2O is proudly partnered with Ocean Rodeo to get you on the water after youir lesson. We can consult you during your beginner or advanced lesson as to which kite and board will best fit your needs. The best answer for this question is simple: because it is for EVERYONE! There is no pull from the boat, no drag on the surfer, and generally no pain from a wreck! It truly is a perfect solution for all ages of people. Wakesurfing is really fun to do when beach conditions are poor which is quite often in South Texas. You don’t need perfect conditions to wakesurf, and you can always have a ton of fun when you wouldn’t be on the water anyway. 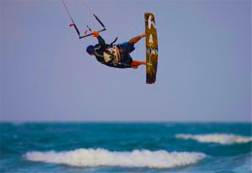 Port A H2O offers kitesurfing lessons 7 days a week, call to shedule your lesson at 361-332-9031. We utilize shallow, flat water locations that make it easy to learn. On windy days our kitesurfing lesson is a great way to take advantage of the coastline and try something new. When you are ready to purchase gear we have a full line of new and used equipment available and offer support in choosing whats right for you. Kitesurfing is not for everyone, but for those up for the challenge it is the most rewarding boardsport you will ever learn! Schedule your lesson now for your next trip to Port Aransas. In Corpus Christi and Port Aransas we are known for great ocean breezes that make for some of the best kitesurfing in the country. Port A H2O offers certified instructors for year round kitesurfing lessons in Corpus Christi & Port Aransas. We utilize shallow, flat water locations that make it easy to learn. On windy days our kitesurfing lesson is a great way to take advantage of the coastline and try something new. Port A H2O utilizes flat water SUP paddling locations that makes it easy to learn for first time paddlers. Offering free drop off and pick up service with every rental as well as on site instruction. We take the hassle and stress out of transporting heavy boards. Our onsite instruction is perfect for those who have not paddled and our looking for a stress free experience. 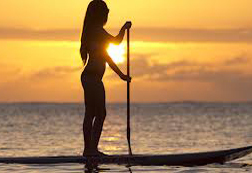 Simply make a reservation and show up to your boards and professional instructor waiting at the water.